London does food well. There are hundreds of listicals ranking the city’s edgiest eats and latest food trends but it’s fair to say that these places (though ‘cool’) aren’t always the most suitable for families. 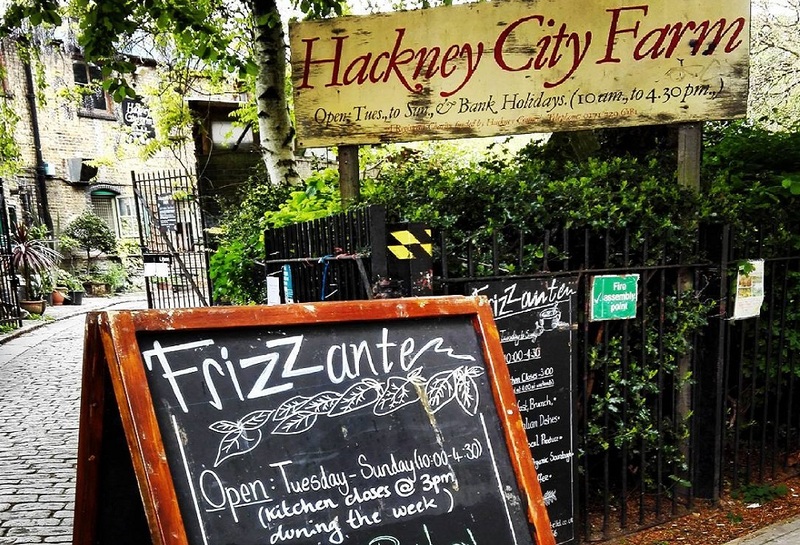 Not only is it generally just a great place for kids with its range of farmyard animals (including pigs, donkeys, goats, chickens, ducks and rabbits) but Hackney City Farm also boasts a neat little Italian café called Frizzante, which is the perfect place for brunch or lunch. The menu features fresh and seasonal ingredients which are tasty, hearty and wholesome, whether it’s simply coffee and cake you’re after, or a Sunday roast. There’s also a little shop where you can buy jams, fresh eggs and organic vegetables from the farm, as well as gifts and toys. LittleBird Top Tip… Hackney City Farm also run Pottery Classes for kids which are run on a drop-in basis on Wednesday afternoons (2-4pm) and Sundays (11am-1pm and 2-4pm). It costs £5 per child which includes firing in the kiln. So why not make a day of it and get creative with the clay! Immerse yourself in the heart of the Amazon…in London! Head to the Rainforest Café in Piccadilly Circus to dine in the jungle, surrounded by an array of rainforest animals, including lifelike animatronic elephants and crocs! Listen out for the periodic thunderstorms as you tuck in to classic, wholesome grub. For parents and older children, there is an extensive menu featuring lighter lunch options (salads and sandwiches) as well as full-blown meals like ribs and quesadillas. Meanwhile the kids menu features everything from pasta and burgers through to chicken salad, with sundaes, fruit salads and jelly among the dessert options. 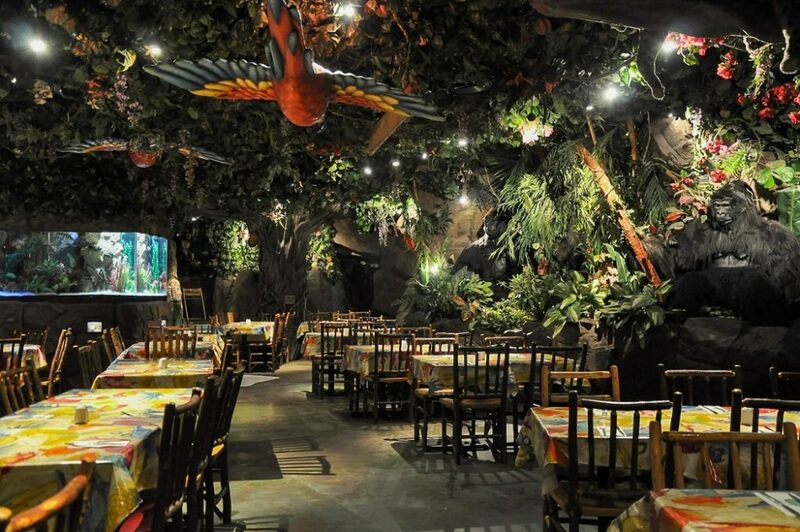 The Rainforest Café is certainly not the cheapest option but as a special treat it is guaranteed to provide plenty of entertainment and a very alternative dining experience! LittleBird Top Tip… Take the opportunity to see Miranda Hart starring as the infamous Miss Hannigan in a brand new production of Annie which arrives at the Piccadilly Theatre this season. (Find tickets on LittleBird here.) Alternatively, continue the nature-adventure theme and head to St James Park to see the pelicans being fed, or if it’s more of an inside-day, make the most of free entry to the Royal Academy of Arts where families can take part in Art Detective trails and free drop-in workshops! 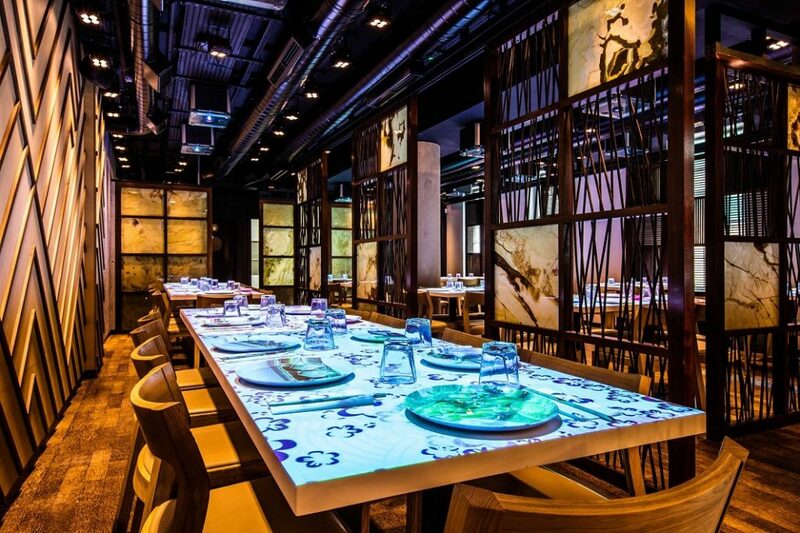 If you’ve got kids who love trying something different, Inamo is a great Asian fusion option with its innovative ordering concept which sees diners place their meal orders through an interactive menu on the table! It’s a fab place for families with prompt service, quality and healthy food, plus a special kids menu at a reasonable £9.95. Moreover, not only will the chopsticks provide entertainment but by the same interactive technology kids can also draw, send each other messages and play games on the table…you sunk my Battleship! You can also watch the Inamo chefs at work in the kitchen via the chef cam. LittleBird Top Tip… With 3 central locations, you’re right in the heart of the city. If you find yourselves in the Soho or Camden locations, why not head to the iconic Chin Chin Labs for dessert? It is Europe’s first liquid nitrogen ice-cream parlour and has been dubbed ‘The Best Ice Cream Parlour in England’ – with innovative and experimental flavours and Instagram #nofilter worthy presentation, the hardest choice you’ll have to make here is which option to go for! Street food markets have become very popular across London and with good reason; the atmosphere is fun and buzzy, dining alfresco is awesome, there’s something to suit every tummy and food comes quickly so those hunger-pangs can be promptly attended to. They may not be the first option that springs to mind when thinking of family-friendly eats but Street Feast locations open at 5pm and are free to enter before 7pm. So if you get in there early with the kids, you can avoid the bustling, hipster crowds and find somewhere to plonk to enjoy mouth-watering eats from around the world, including cuisine from the Caribbean, Taiwan, Latin America and Britain. Lewisham’s Street Feast, Model Market, is set in an abandoned 1950’s covered market and features both indoor and outdoor spaces, as well as a rooftop where you can catch the remainder of the evening sunshine, while the new Canary Wharf location, Giant Robot, channels futuristic vibes and features panoramic views at Crossrail Place Roof Gardens. 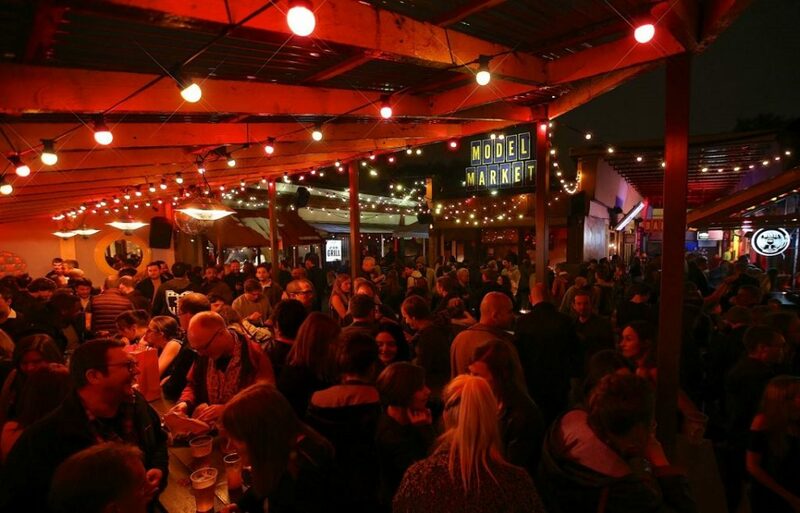 There are also the locations Hawker House in Canada Water and Dinerama in Shoreditch if you’re in those neighbourhoods. LittleBird Top Tip… If you’re around the Lewisham area, check out events at the Hither Green Festival 2017, featuring live concerts, open gardens, film events, art and craft fayres, quiz nights, street parties and a duck race…! Find out more here. 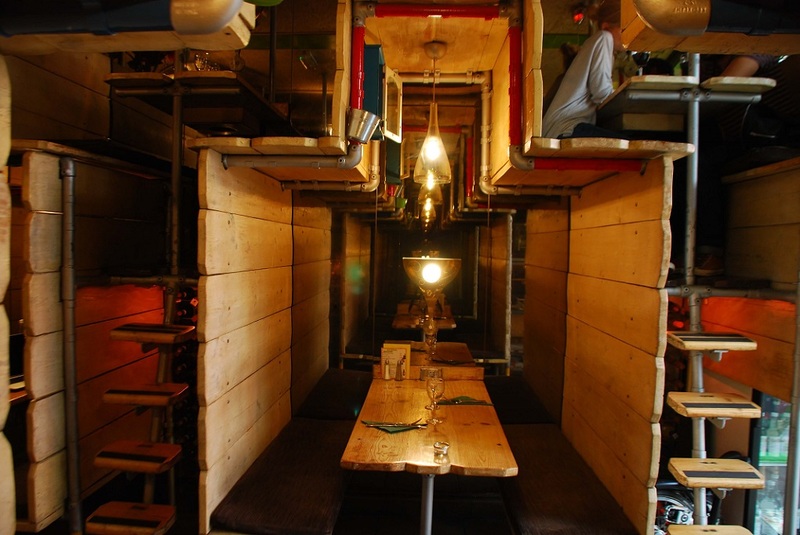 Dining at Buona Sera is next level – quite literally…Guests can either nestle into a cosy, cave-style lower booth or climb a ladder to a treehouse-like upper booth at this classic Italian restaurant in Chelsea. The menu is extensive and not too pricey given the area, featuring a wide selection of delicious pasta dishes for around the £10 mark, as well as antipasti, fresh salads and other mains options, including rustic meat and fish dishes. This is a must-visit if you’re in the area and wanting a bite to eat with a difference. LittleBird Top Tip… The Saatchi Gallery in Duke of York Square is only a 15 minute walk away, or a short tube ride away is the recently re-opened Design Museum on Kensington High Street. Both museums are free to enter and are great ones to check out, with new exhibitions, pop-up events and workshops for families throughout the year.